There are numerous alternatives when it comes to choosing driveway paving. Depending on the overall look you wish to achieve and the type of traffic that will be using the driveway. 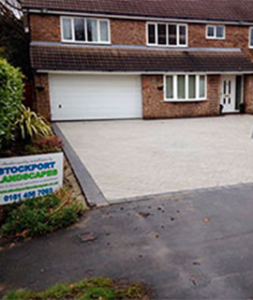 We offer free help and advice when choosing driveway paving, as well as a free design service to create the perfect first impression when entering your property. 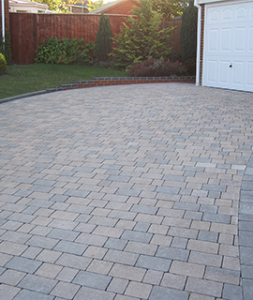 Block paving is a popular choice as it is hard wearing cost effective and very attractive. Blocks come in a wide variety of colours shapes and sizes to suit any property. From natural stone blocks witch have unique shades and pastel tones to more affordable but equally beautiful concrete blocks in many textures and colours. 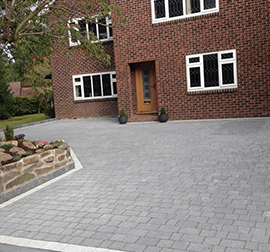 Driveway paving can be fitted in a vast array of patterns, incorporating octagons, circles, sweeping patterns, herringbone, basket weave, or random patterns to mention just a few.